This past weekend marked my third year anniversary blogging about Persian cuisine, which is the kind of food I grew up with and to this day love to make all the time and gladly share it with you. When I ventured into the world of food blogging I never thought that one day I would be celebrating my blog's 3rd anniversary! 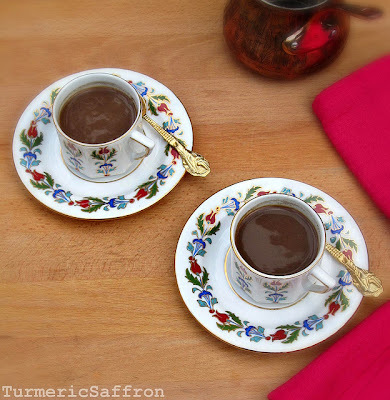 The title of my blog, "Turmeric and Saffron" best describes my late mother's kitchen, with her spice jars and herb bottles everywhere on the counter and shelves, except for her small container of deep red saffron threads from Mashhad tucked away in a cupboard. Among the blend of intoxicating aromas in our ashpaz-khaneh (kitchen) there were various yellow turmeric-stained wooden spatulas, mismatched kitchen rags, her favorite plasco plastic containers and an array of over-sized pots and pans. Then there she was, in the middle of the kitchen meticulously preparing food for her family while beautifully humming a tune by one of her favorite singers such as Delkash, Elaheh and Marzieh. Almost every meal that we ate at home was cooked by my mother from start to finish, since she would not allow any helpers to cook for us. She was very picky when it would come to cooking and eating. Of course baking was an exception to this rule. 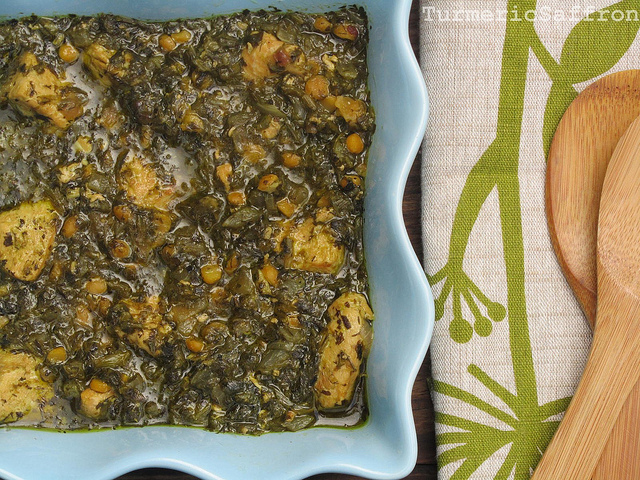 My mother would use zardchoobeh (turmeric) extensively to enhance the flavor and improve the aroma of meat dishes, stews and any recipe that involved using lamb or chicken. When making the traditional abgousht/abgoosht (lamb stew) she would add a full teaspoon of turmeric to the boiling water before adding the lamb shanks and the other ingredients, a cooking technique that I only saw in her kitchen. 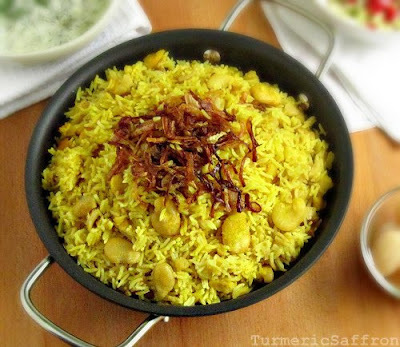 Zaferan (saffron) on the other hand was used in most rice dishes and some sweets such as shole-zard to give a bold flavor, gorgeous natural orange-reddish color and a delicious aroma. 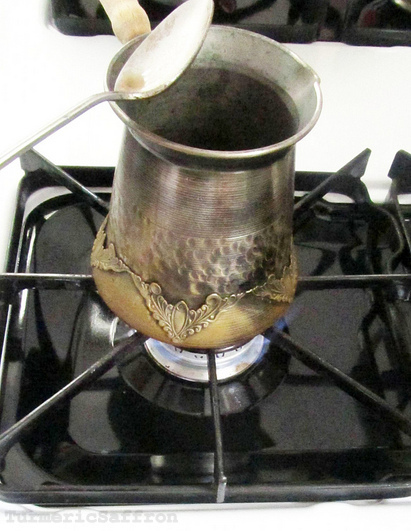 She would usually pour a estekan (small tea cup) of saffron-water mixture over the parboiled rice in the pot before placing the towel covered lid back on the pot to steam. My mother had a vast knowledge of herbal medicine, plants, food ingredients as well as how to make healthy food choices. 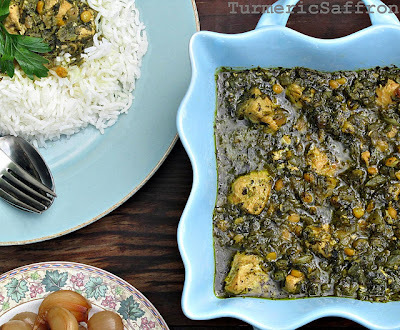 It is not only writing down my mother's recipes and my memories of growing up in Iran that bring me joy and keep me connected to my roots but more importantly it's the simple sharing of my mother's recipes that I find even more fulfilling. 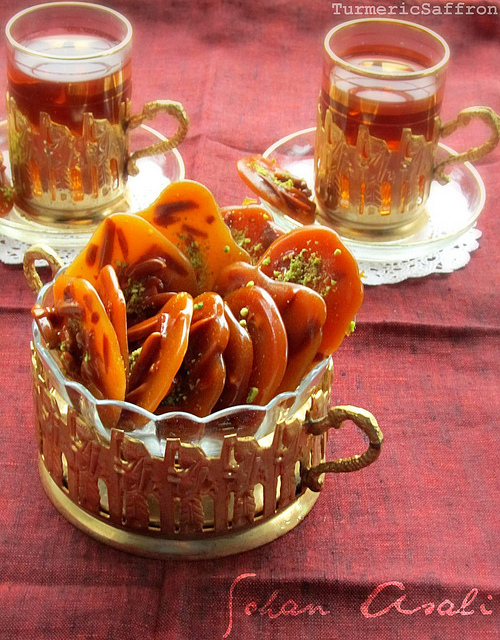 For this sweet occasion I'm making سوهان عسلی sohan asali (honey and almond candy). For best results I recommend using butter instead of vegetable oil. 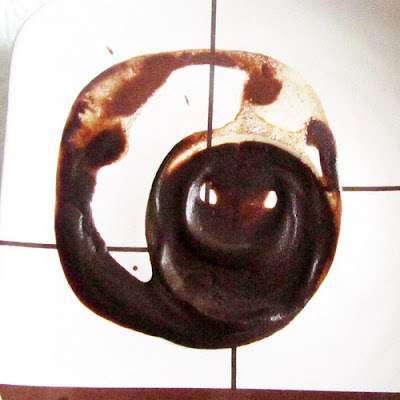 Even though flavored honey is not used in making this candy I like to use the orange blossom honey for an added flavor. 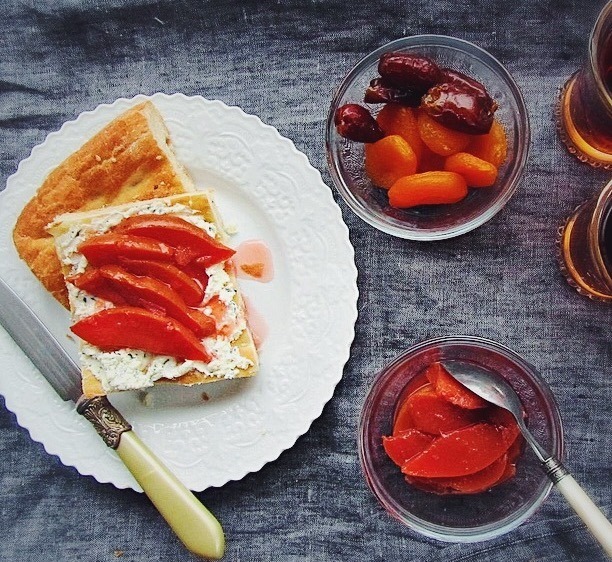 I would also like to lightly toast the slivered almonds to improve the aroma and the taste. While cooking, the content becomes very hot so it would be wonderful if someone could give you a hand at the end when you are dropping the spoonful of the hot mixture onto the parchment paper since it dries quickly and you still need to sprinkle the ground pistachios on top. Otherwise, you've got to be very quick. 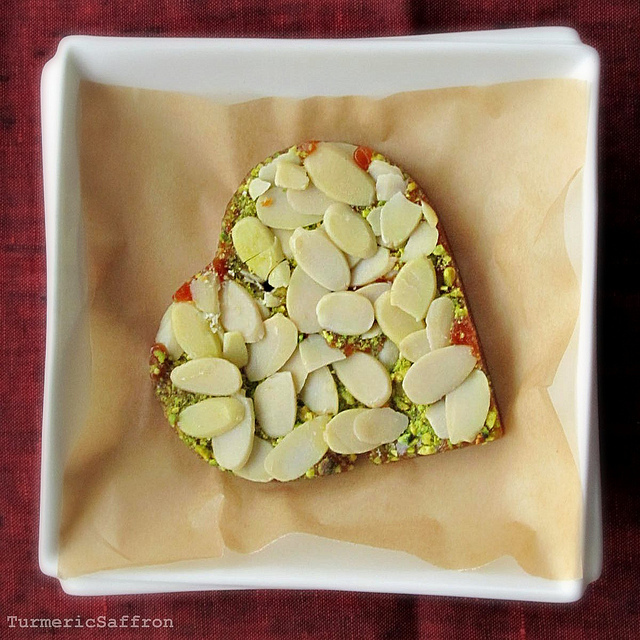 Cover a large baking tray with parchment paper and leave the crushed pistachios nearby. 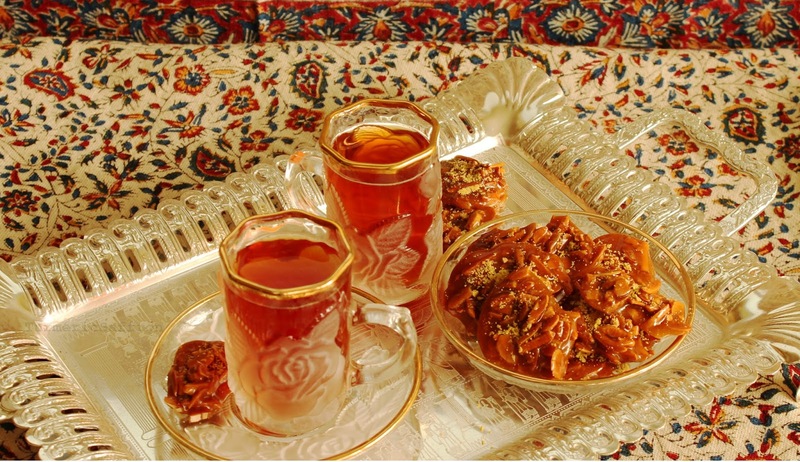 In a medium sized heavy pot combine sugar, honey, oil and rose water on medium heat for about 5-7 minutes or until sugar is completely dissolved. Stir and swirl the pot around a few times. Lower the heat and add in the almonds into the sugar mixture, stir frequently, cook for another 7-10 minutes or until they turn light golden. Add the crushed saffron and gently stir with a wooden spoon. 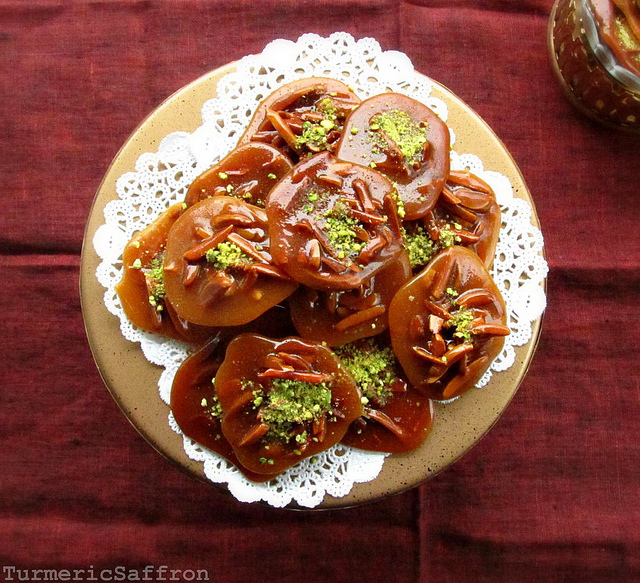 When the almonds are well coated with this caramel color syrup, start spooning out the mixture on the parchment paper as quickly as you can and sprinkle the pistachios on top. Allow them to cool completely. Remove the sohan asali from the tray, store in an airtight container and serve them the next day. 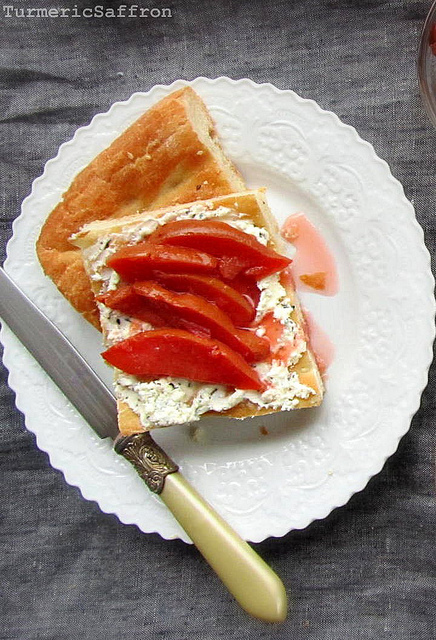 Serve with a hot cup of tea. 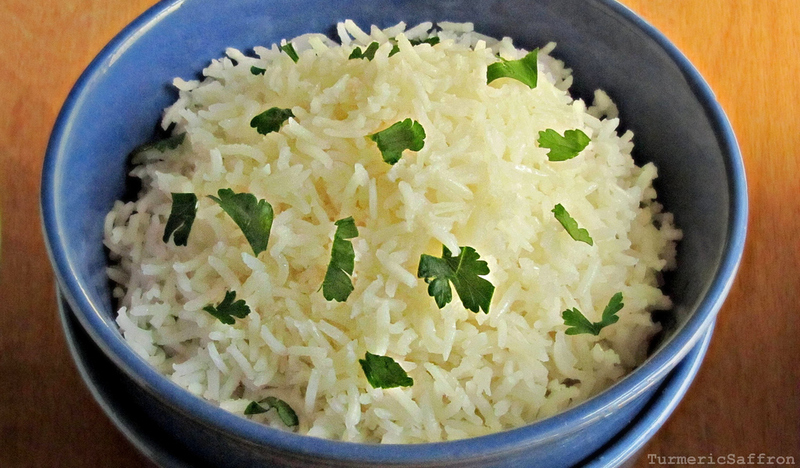 * I have tweaked and made some minor changes to the original recipe. I have cut the amount of sugar and made it vegan. 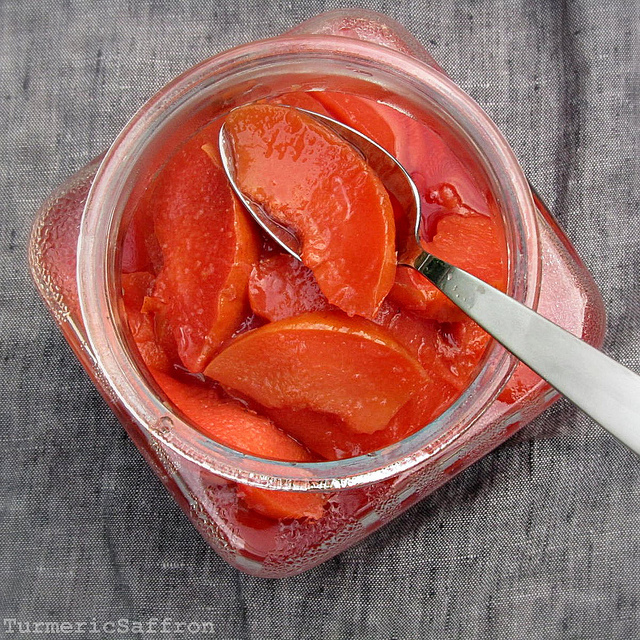 Recently, a reader left a comment on my blog asking for a recipe for quince jam and that's when I decided to make this gorgeous colored, delicious and fragrant jam while quinces are still available in the market. مربای به Quince jam was part of the typical Persian sobhaneh (breakfast) back home in Iran and it included freshly baked warm bread (barbari, taftoon or sangak) right out of the tanoor, a fresh brewed hot cup of chai (tea), sarshir (breakfast cream), panir (my fave, lighvan), butter and honey. 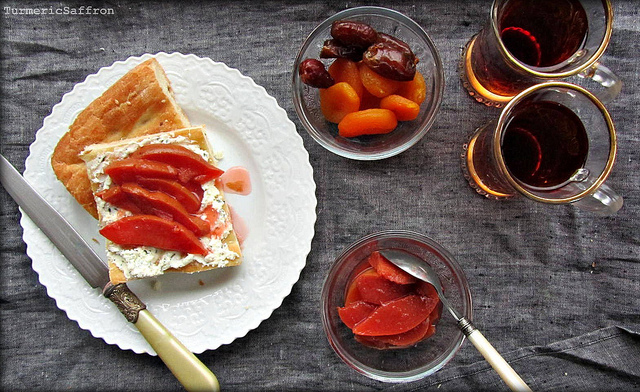 Among the many different kinds of jams, quince jam added color, flavor and aroma to our busy breakfast table. I suggest making a large batch since this is the kind of jam that you just want to eat right out of the jar. I wish I could say how long quince jam would last when refrigerated but past a 2-3 month time period I wouldn't know. It never lasts beyond that time in our fridge. It's truly amazing to see the transformation of this light yellowish colored, tart, firm and woody fruit into a sweet fruit jam that is a rich stunning shade of red and soft enough to melt in your mouth. This time of year, when quince is in season, it is the best time to make the hearty one-pot meal known as tas kabab with layers of sliced quinces or the fall recipe khoresh-e beh (quince stew). 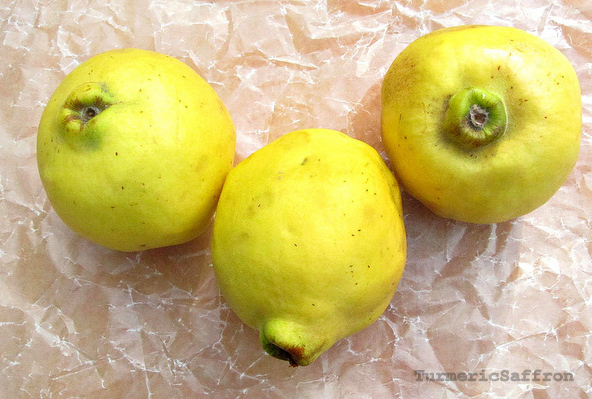 Quince has a thin skin and there's usually no need to remove it, just rinse it well and with a sharp knife gently remove the core but don't throw away the seeds which are used for medicinal purposes. As I have mentioned before in one of my previous posts, a teaspoon of quince seeds mixed with a cup of hot water can help soothe a minor sore throat and chest pains. Nothing of this fruit goes to waste! 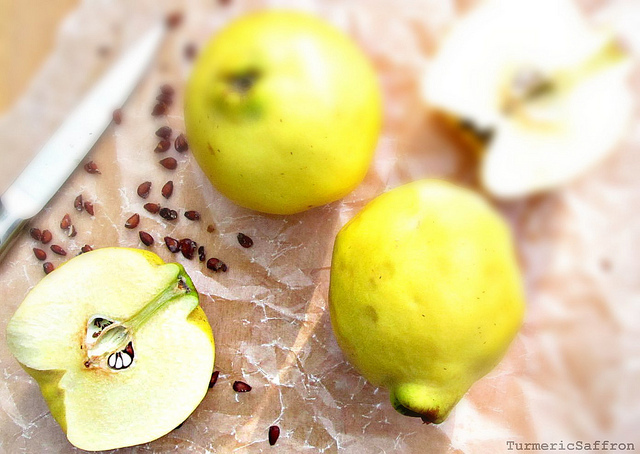 Sprinkle 1-2 tablespoons of lemon juice over the quince slices. 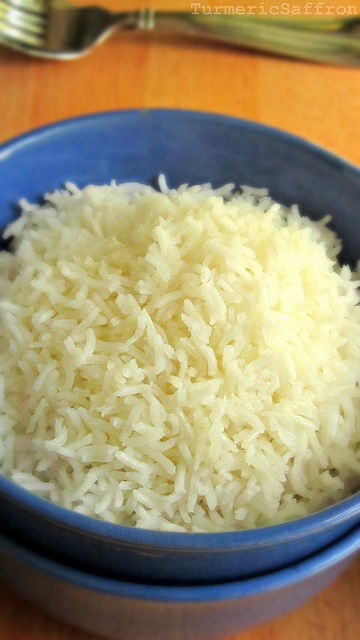 In a large heavy-bottom saucepan combine the sugar and water, bring to a gentle boil over medium heat, uncovered. 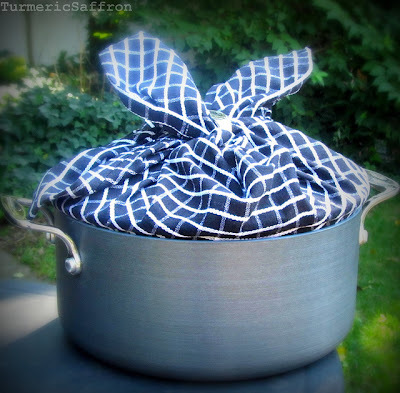 Reduce the heat and boil for another ten minutes on medium-low heat or until it thickens a little bit. Add the ground cardamom and quince slices to the sugar syrup, bring back to a boil on medium heat. Pour in the rest of the lemon juice and add a little more water if needed. Cover and simmer for about 2 hours on low heat. 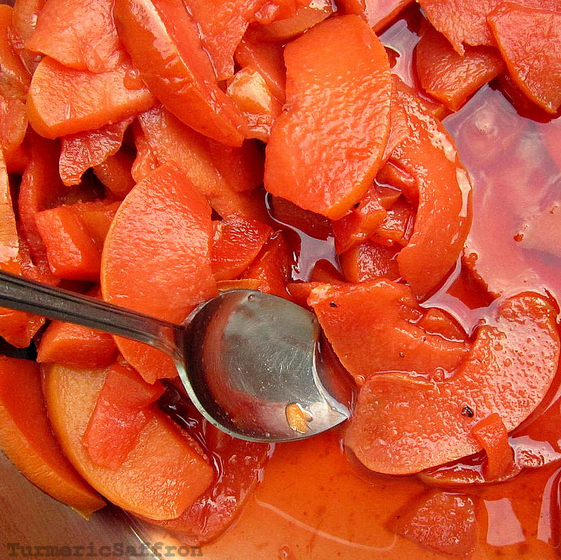 It is recommended not to remove the lid during the cooking to ensure that the quince slices develop the desired rich ruby red color. You can wrap the lid in a clean kitchen towel. I didn't wrap the lid with any cloth and a few times I gently stirred the content. Add a tablespoon of rose water and simmer for another few minutes. 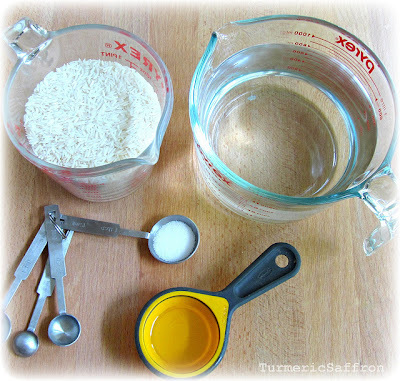 Ladle the jam into sterilized jars. Cover tightly and refrigerate. 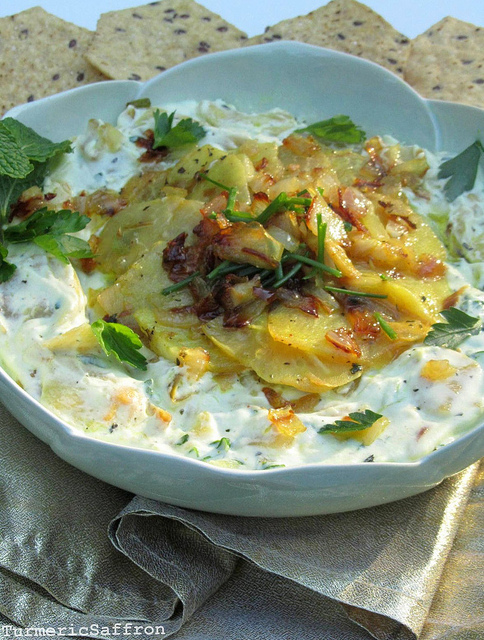 Serve with butter, cheese, thick yogurt and/or as a topping with vanilla ice cream. 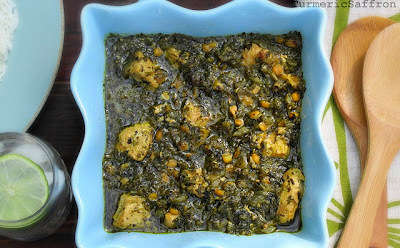 I have been planning to make this super delicious recipe for quite some time now. 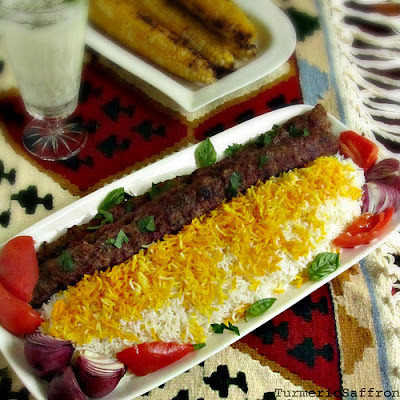 بورانی Borani is a Persian side dish/appetizer that's made with plain yogurt and the vegetable of your choice such as borani esfenaj, borani bademjan and borani laboo, which are the most well known and popular among other borani recipes. A week ago I made my usual early morning visit to the vegetable market. Most times when I walk in there some of the shelves are still empty while the workers are taking the products out of their boxes and arranging the produce on the shelves. I prefer this not-so-hectic time at the vegetable market so I can walk through the aisles looking for different fruits and vegetables while enjoying their fresh aromas and not having to maneuver my shopping cart through the packed aisles. 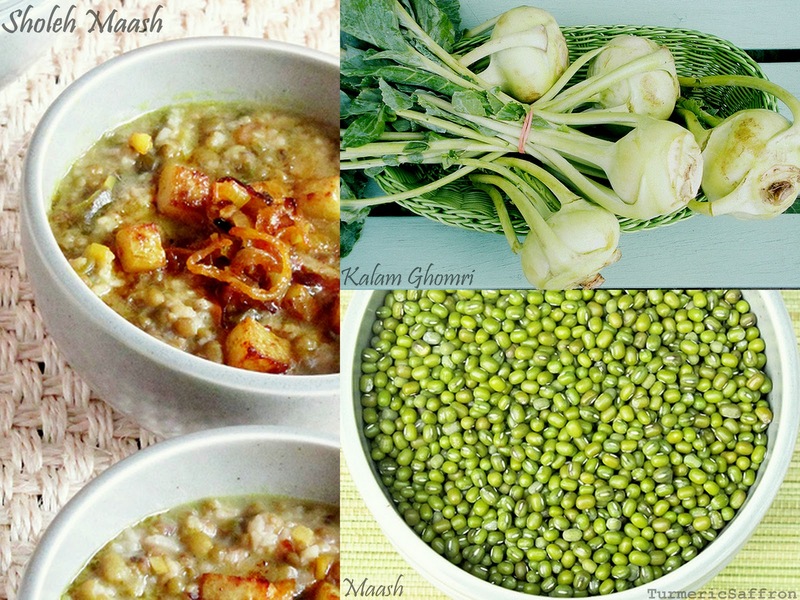 On that day my eyes spotted kohlrabies once again and since I had بورانی کلم قمری borani kalam ghomri recipe on my mind I picked up a few. As I was placing them into the plastic bag another customer quickly came and took a couple of kohlrabies without any hesitation. 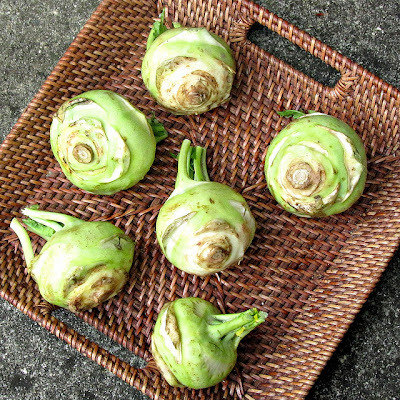 I was wondering what kind of a dish she was planning to make with these gorgeous kohlrabies. By the time I decided to ask this random stranger for a recipe in a vegetable store she had walked away onto the next aisle. I walked away thinking that if my mother were there she not only would have found out what this lady was going to make for dinner that night but she would also get to know her personally and find out so much about her in the course of one simple conversation! In my mother's case, standing in saf-e noon o goosht (store lines) whether to buy freshly baked bread or the good quality hand-cut meat at the butcher shop, it was a precious moment to get to know her neighbors and the people in the community. She loved a good conversation and was always eager to hear ordinary people's real-life stories and that's what she would miss greatly every time she came here for a visit. Not being able to communicate in English with our neighbors, people in the markets or the parks was quite troubling for her emotionally. We were all so busy each time she visited us that we could not accommodate her as fully as she would have desired. I would try to do my best translating her questions which at times were a bit too personal for my taste. She was very much interested in learning how and when someone had migrated to this country, what it was like in the beginning and how the transition and the assimilation process was like for them. At times, I felt so uneasy interpreting this line of back and forth communication between my mother and a non-Iranian guest at a party. But that was the kind of story my mother was interested in, not what people did for a living, how much they were worth or what kind of a house or car they owned. I suppose it was her genuine interest in the human story of displacement and diaspora that people often responded well to her questions by giving lengthy answers. 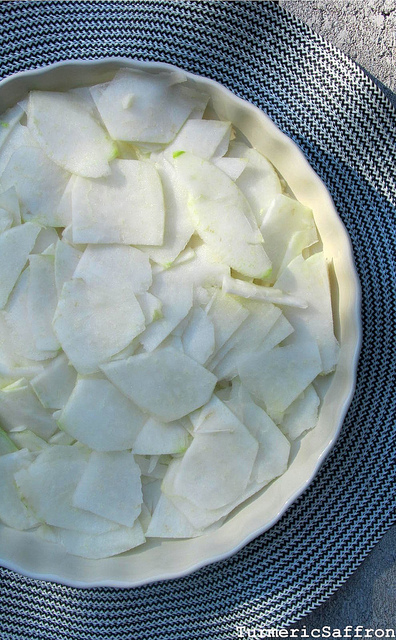 Place the sliced kohlrabies into a skillet, add 1/2 cup of water and cook on medium-low heat for about 10 minutes until they soften slightly. Add a pinch of salt. Discard water. Heat 2-3 tablespoons of olive oil/vegetable oil in a frying pan, add onions and saute until golden brown. Add a tiny pinch of turmeric and the minced garlic, stir and saute them in the olive oil for another five minutes. Add the kohlrabi pieces, salt and pepper to taste. 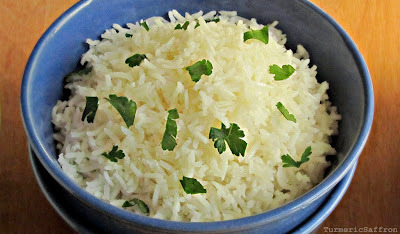 At the end add the chopped parsley, chives and mint and mix well. 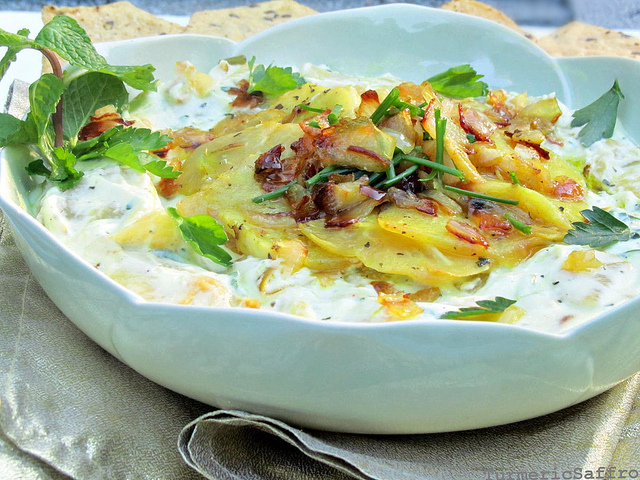 In a large mixing bowl, combine the yogurt with all the ingredients and gently stir together. Taste and adjust the seasoning. Let cool for an hour. 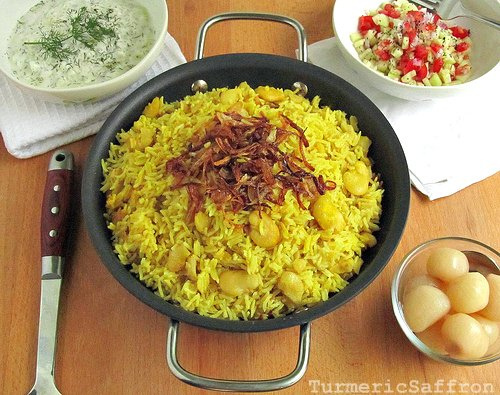 Scoop the borani into a serving bowl and garnish with fried onion and garlic. 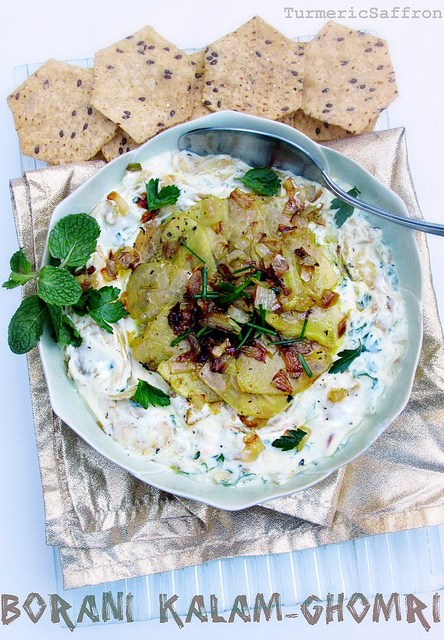 I layered the top with extra slices of kohlrabi.This could be served as a side dish or an afternoon healthy snack with warm bread or pita chips. 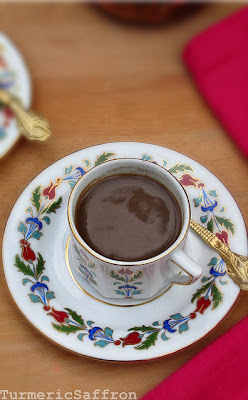 As a kid I used to see my mother drinking ghahveh turk (Turkish coffee) in small coffee cups with her friends and neighbors during their gatherings while talking about almost anything under the blue sky. They usually would meet for an hour or two in the morning in between sending their kids off to school, tidying up the house and preparing lunch for their husbands who would come back home for lunch. My mother learned to make Turkish coffee from her Armenian neighbor when she was just a young newlywed and had moved to a new home and a new town. This warm and friendly Armenian family with grown kids welcomed her to the neighborhood and their home. They eased her sense of loneliness and in them my mother found the family that she had left behind for marriage. 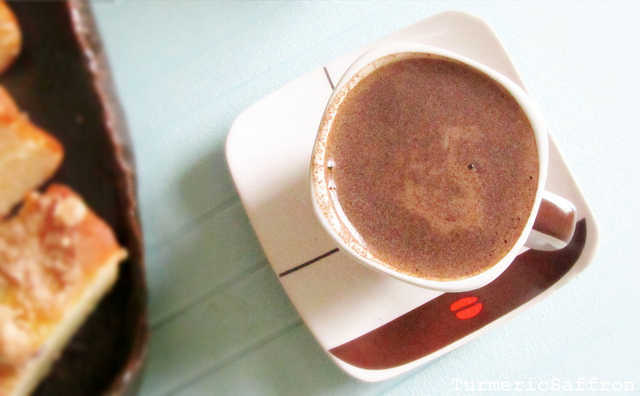 That's where she had ghahveh turk for the first time and from then on she enjoyed drinking it as an occasional treat. Over the years, my very dear Armenian friend Flora and I have developed a routine of meeting each other for breakfast, which is always at her place. Well she offers and I accept, you know they say never to refuse a good offer! She usually makes a delicious omelet with all kinds of vegetables with warm barbari bread, hot fresh brewed tea, and a tiny cup of قهوه ghahveh (coffee) at the end of our gathering just before I leave. Besides the good food and her warm hospitality we both have enjoyed our many deep an heartwarming conversations. 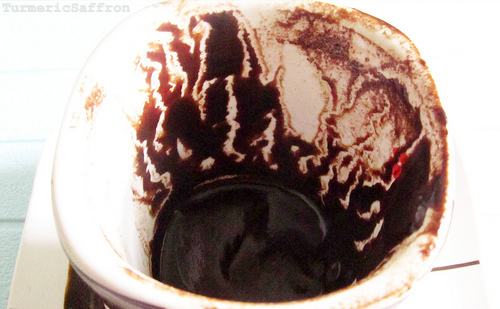 Lighthearted fortune telling is a fun part of drinking Turkish coffee. We like to look for patterns and images on the walls of these tiny cups, anything that might resemble faces, birds, roads and valleys. 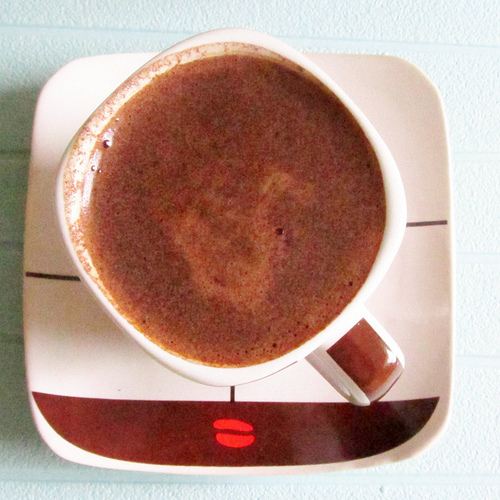 In a small pot with a long handle combine finely powdered coffee, cool water and sugar. stir well. 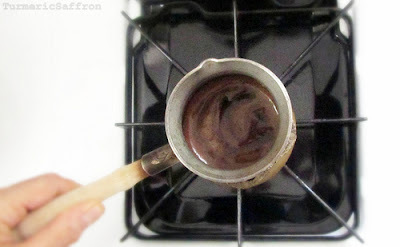 Place the pot on medium heat and bring to a boil, watch closely as the coffee starts to rise in the pot and foam, remove the pot from heat and pour into each cup and serve. 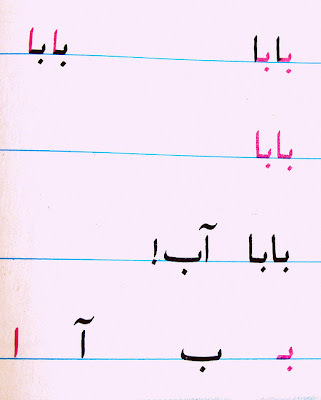 I've been wanting to make مرغ ترش morgh-e torsh for quite some time but somehow I never got around to it. 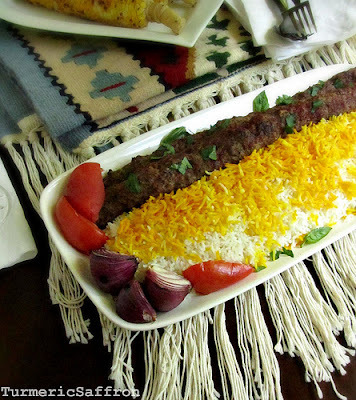 However, I recently received a very kind email from a reader asking for this recipe along with a couple of other dishes from the northern province of Gilan and I was inspired to write a post about it. 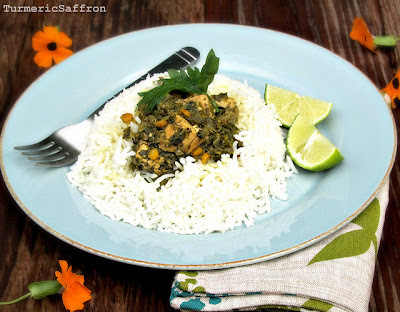 This is a relatively easy dish to make but the taste is just superb and every bite is so full of flavor. 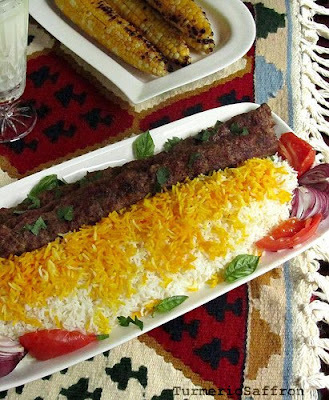 Food from shomal (northern Iran) has its own distinct flavor with its local vegetables that's hard to find anywhere else. Northern Iran is also known for its rice fields, tea plantations and the caviar from Darya-ye Khazar (Caspian sea). 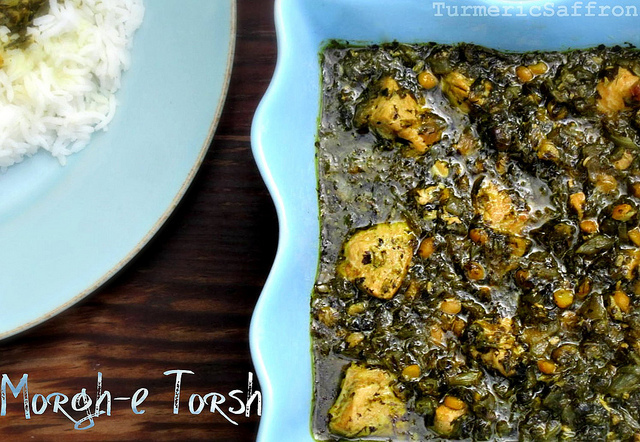 This morgh-e torsh recipe was given to me by a very dear friend of mine of many years. My good friend Maryam is from the city of Rasht and currently lives in Toronto with her loving family. I met Maryam in college here in New York and we instantly became friends. We hung out together, laughed and complained of homesickness. After graduation she moved away, we may lose contact briefly and periodically but throughout the years we have remained friends for life. Thanks to Maryam I get to write about this amazing Gilani recipe. I changed a couple of minor things here and there in the recipe. Maryam's recipe calls for one whole chicken, I used four pieces of boneless and skinless chicken breasts which I cut into small pieces (about two pounds) and the second change is adding turmeric to the recipe. I just couldn't resist and I added a pinch of turmeric powder while frying the chicken. 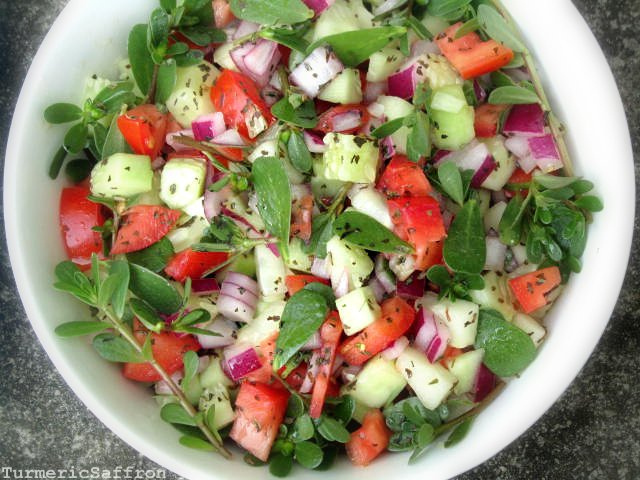 Clean and wash all fresh vegetables, remove the stems and chop finely. In a skillet add 2-3 tablespoons of vegetable oil, saute the chopped onion, minced garlic and the chopped vegetables on medium-low heat until soft and tender. 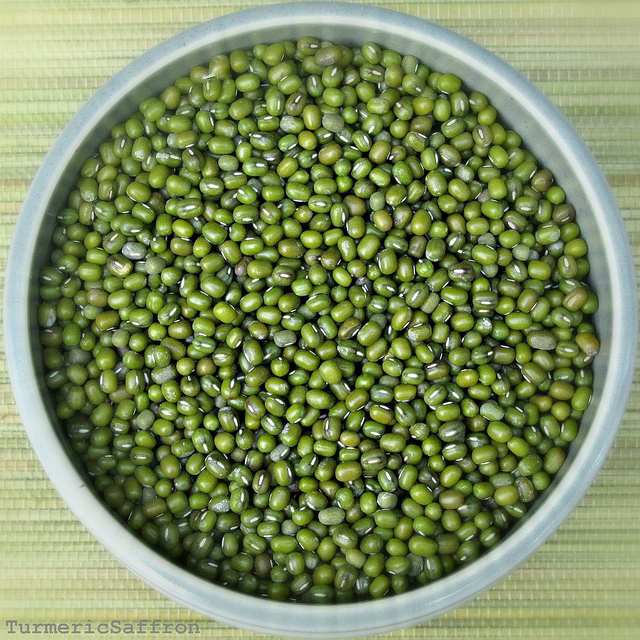 Cook the yellow split peas in 2 cups of water with a dash of salt for about 30 minutes or until they become soft. Discard the water. Lightly fry the chicken pieces in a couple of tablespoons of oil in a frying pan on medium heat until they are no longer pink, add salt and pepper to taste. As I mentioned, I added a pinch of turmeric as well. 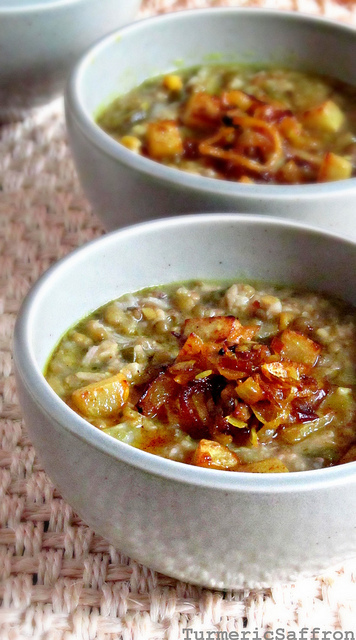 In a saucepan combine all the ingredients, the sauteed vegetable mixture, chicken pieces and the yellow split peas. Add enough water to cover all the ingredients. Bring to a boil on medium-high heat. Reduce heat, add salt and pepper and the juice of Seville orange or lemon juice to your liking. Cover and cook on medium-low heat for about an hour until all the flavors come together, stirring occasionally. Taste and adjust the seasoning. Transfer the stew in a large serving bowl. 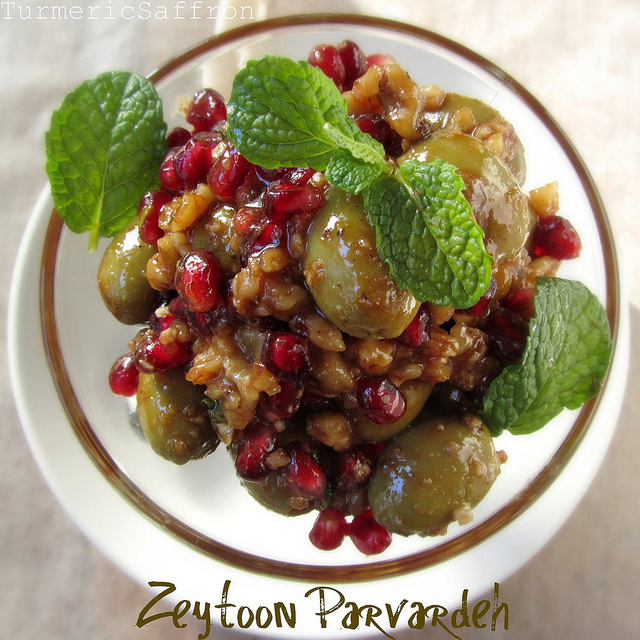 Serve with kateh or polow, zeytoon parvardeh and pickled garlic. 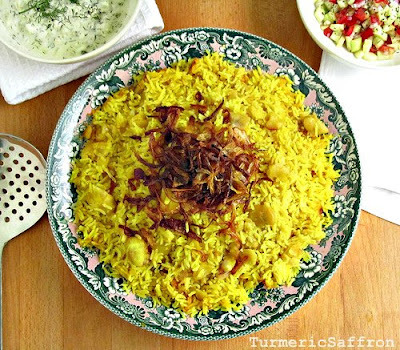 For a complete Gilani lunch or dinner you may want to add mirza ghasemi to the menu as a side dish. Wouldn't it be nice to walk into your local farmers' market and find bunches of fresh khorfeh (purslane) bundled up and stacked neatly next to the basil and mint on the shelf? 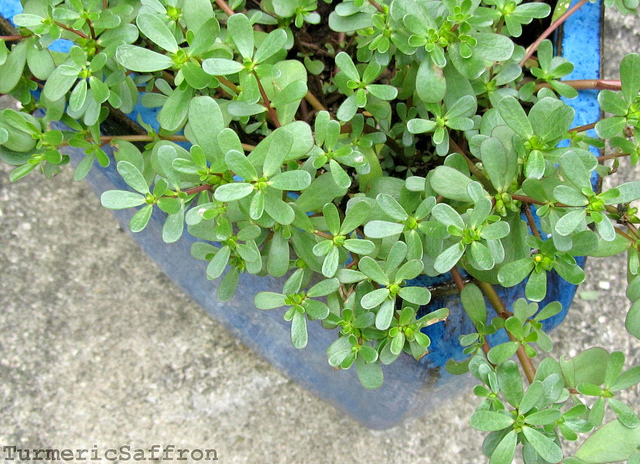 I am hopeful that one day purslane will no longer be considered as just an annoying garden weed that's neglected. Perhaps if instead of sprouting in every corner purslane was sowed and watered in vegetable gardens then it might have been appreciated more for its nutritional values, beauty and taste. But until then I am grateful that purslane grows everywhere and I can easily spot them in the lawn, in flower beds and next to the garden rocks. I appreciate purslane's generous and humble nature. This year, I have removed some of the purslane and transplanted them to flower pots to use for cooking. These beautiful and succulent herbs have a distinct sweet and sour taste and are a perfect addition to a cucumber and tomato summer salad. 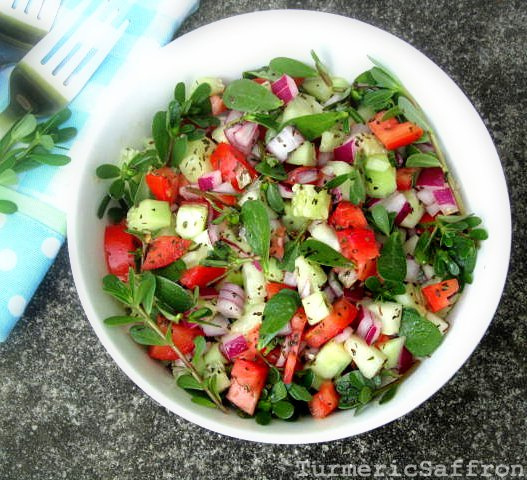 For this recipe I used small, young leaves of purslane that will go well with tiny pieces of Persian cucumber, firm tomatoes and onion known as salad shirazi. The combination of these three main ingredients with the lemon juice and olive oil salad dressing is simply a perfect side to many delicious Iranian dishes. If the leaves are broad you may want to chop them into smaller pieces to blend well or just use the tender small leaves. 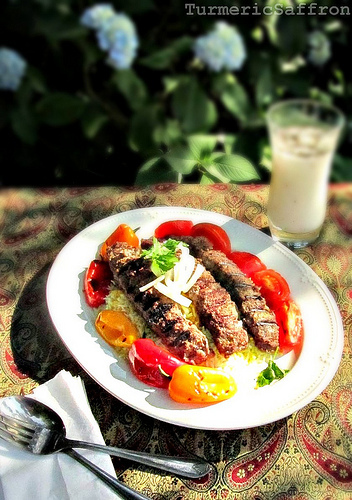 سالاد خرفه Salade khorfeh goes well with khoresh bademjan. A spoonful of aromatic basmati saffron rice mixed with the velvety texture of eggplant sauce and topped with this tasty and crunchy salad is truly amazing! 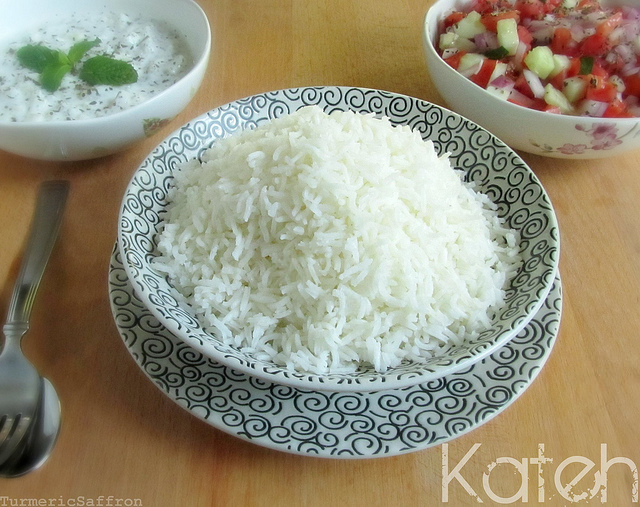 Last summer, I posted a recipe for mast-o-khorfeh (yogurt with purslane). Tokhm-e khorfeh (purslane seeds) are used as a topping for naan berenji. 1 small onion, (red or yellow), cut into small pieces, I used red onion. In a large mixing bowl combine purslane, cucumber, tomatoes, onion and dried mint. Add the lemon juice, olive oil, salt and pepper and mix well. Taste, adjust the seasoning and serve. 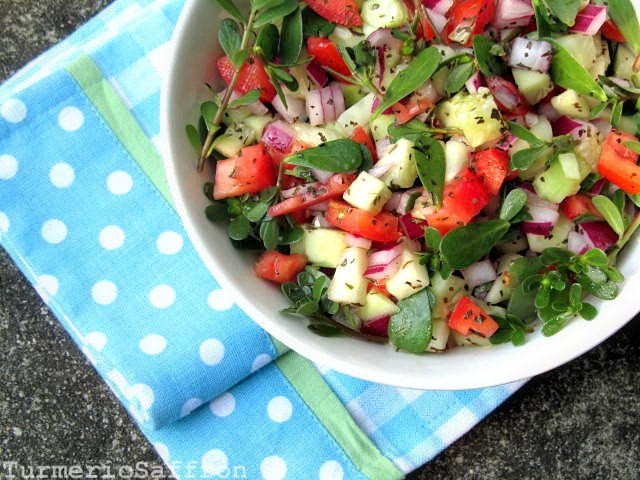 Serve this beautiful and delicious salad cold or at room temperature with your favorite dish.